hile at SXSW a few weeks ago, I got a chance to visit Google's "Playhouse" - an interactive area they had set up that featured some awesome food (gourmet tator tots and peanut butter and jelly sandwiches) and prototypes of new projects (some sort of electric shoe! 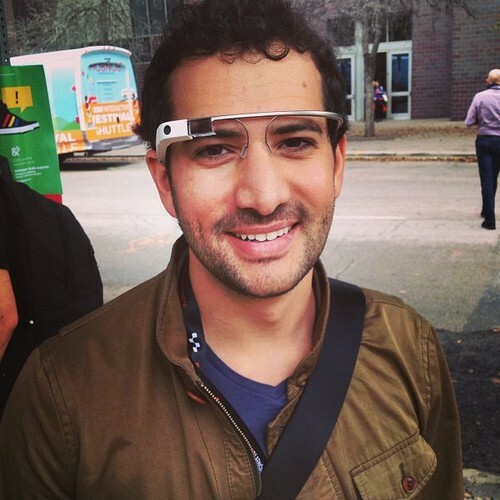 ), including a guy walking around wearing Google Glasses. Later that night we sat around mounds of delicious pork and tore apart the concept of Google Glass. One by one we went around the table and realized that none of us were willing to jump into the idea of walking around with a computer on our faces. Then one of my coworkers said "You know, we're all going to feel stupid in ten years when everyone and their grandmother is wearing Google Glasses and you can buy knockoffs at Wal-Mart." It made us stop and think. Look at how far technology has progressed in the last decade—powerful computers disguised as cell phones, affordable flatscreen televisions—and how years ago we wouldn't have been able to fathom the widespread adoption of of some of the gadgets and devices we use today. When it comes to your credit union and technology, how do you respond? Do you approach new technologies (like online banking and apps) with an open mind, or do you wait?